Self-proclaimed “chubby guy from Parks and Rec” – Chris Pratt – has hit it big. With the recent releases of some big blockbusters – Lego Movie, Jurassic World (Jurassic World: Fallen Kingdom coming out soon! ), and Guardians of the Galaxy 1 & 2 – Pratt has become an A-list celebrity. But even though his star is rising, Pratt has not lost his humility. On April 21, 2017, as he was awarded a star on the Hollywood Walk of Fame, Pratt attributed his success to God. What are these mysterious ways? According to Chris, God gives gifts, which are often “in the form of people.” So he spent the rest of his speech thanking the people who have supported him along the way. True to his reputation for being “the nice guy” in Hollywood, the tearful Pratt displayed unparalleled level-headedness in his remarks. According to Guardians franchise director James Gunn, Pratt is the “biggest movie star in the world right now,” but you wouldn’t know it from Pratt’s speech. Instead of tooting his own horn, he embodied gratefulness. 37-year-old Pratt has been around the block once or twice in Hollywood. After growing up in Washington, he moved to Hollywood at the age of 20. Although he initially lived in an apartment just one block from the Hollywood Walk of Fame, it would take 17 years of hard work before he would earn a star. After he moved to L.A., Pratt observed a dedicated man who polished the stars on the Walk of Fame every day. It wasn’t his job; it was his hobby. The stars were significant to him, and he wanted to be sure that tourists could enjoy them properly. This scene has stuck with Pratt for all these years. Although 17 years have passed and he’s achieved unimaginable success, Pratt still pays attention to people from all walks of life. Early in his career, he noticed that celebrities who treated others poorly eventually faded out, while those with true character sustained their careers. Now that the Hollywood world is his oyster, Pratt continues to treat others with the utmost respect. Not only that, but Pratt is known as a family man. 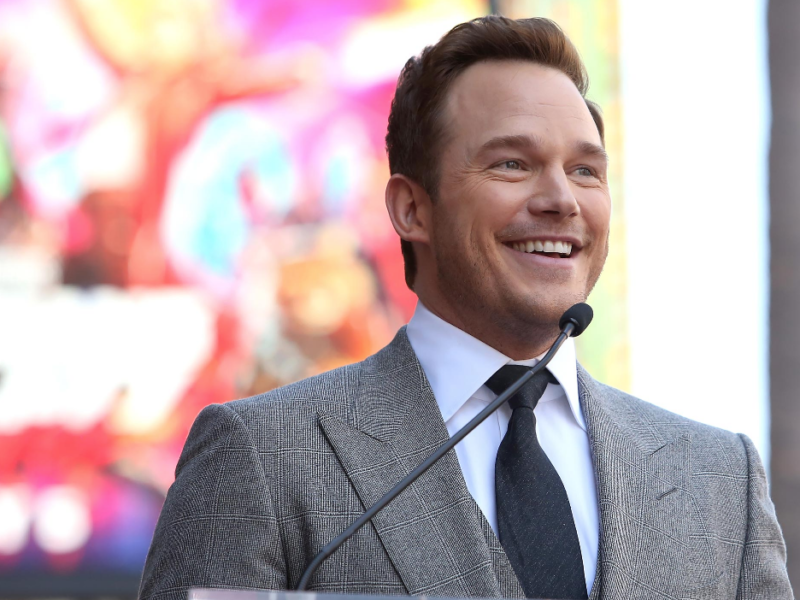 After having a son, Pratt has turned down big roles in order to be a consistent, reliable father. He is also not afraid to turn down roles that don’t jive with his vision for his career. He stands out as a man of integrity and values in a city that sorely lacks people like him. In a city without a spiritual compass, Chris Pratt points others to God. Rising above the temptations of fame and fortune, Pratt gave thanks to God for putting the right people in his life to make his career possible. God is using people in your life to fulfill a divine purpose – just like he has in Chris’s life. Take a second today to give thanks for God’s gifts – the people who have impacted your life.